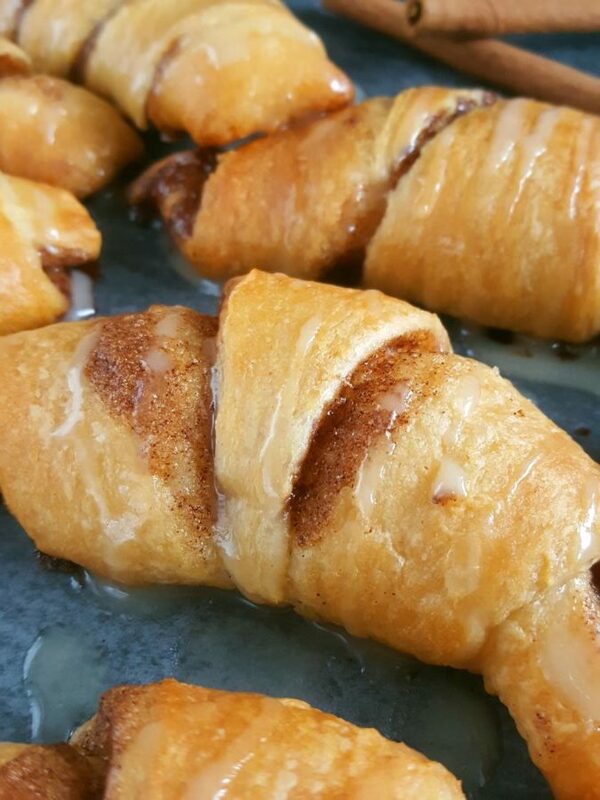 This is a quick and easy recipe for Cinnamon Roll Crescent Rolls that take less than 25 minutes to make, from start to finish. A buttery, brown sugar and cinnamon filling is rolled into flaky pastry dough and baked to perfection, then drizzled with a sweet icing glaze. The famously versatile and convenient refrigerated crescent roll dough has done it again folks! This dough can be used all kinds of ways and even substituted for other types of dough. Personally, I get a little bit intimidated when it comes to making dough from scratch because you have to use yeast and then you have to knead and let the dough rest, etcetera, etcetera… so this little tube of dough saves me a lot of time. Plus, the crescent rolls were on sale (again) so you know I had to get them. I can’t resist a sale. I’ve made canned crescent rolls many times before because they’re so convenient and there’s a lot more that you can make with them than just plain crescent rolls. Have you ever thought to yourself or wondered what to do with crescent rolls? 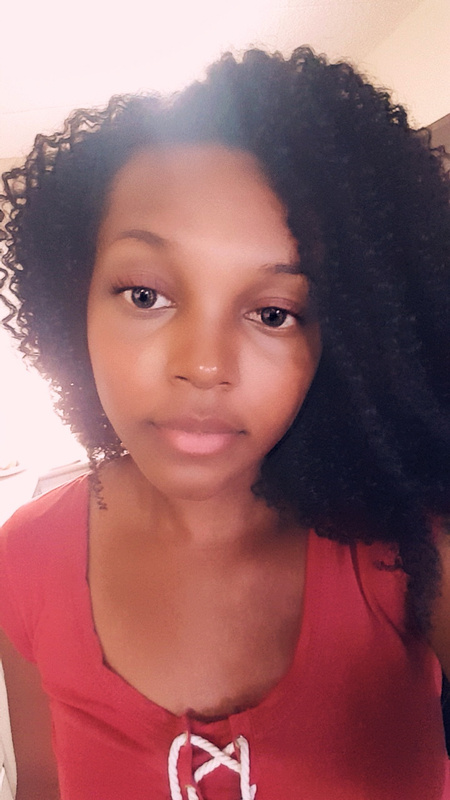 Or what to put in them? Or what to make crescent rolls with? Personally, I’m not a huge fan of them plain so whenever I make them I try to spice it up by adding other ingredients to them. Usually I like to make these cream cheese danishes, but today I thought I’d go back to an old favorite; Cinnamon Crescent Rolls with icing! I’ve had this crescent roll recipe idea for a long time. I actually used to make these years ago but it was much simpler. I used to mix up some brown sugar and cinnamon and put it inside and that would be it so I thought I would go all out this time and jazz it up a little bit. 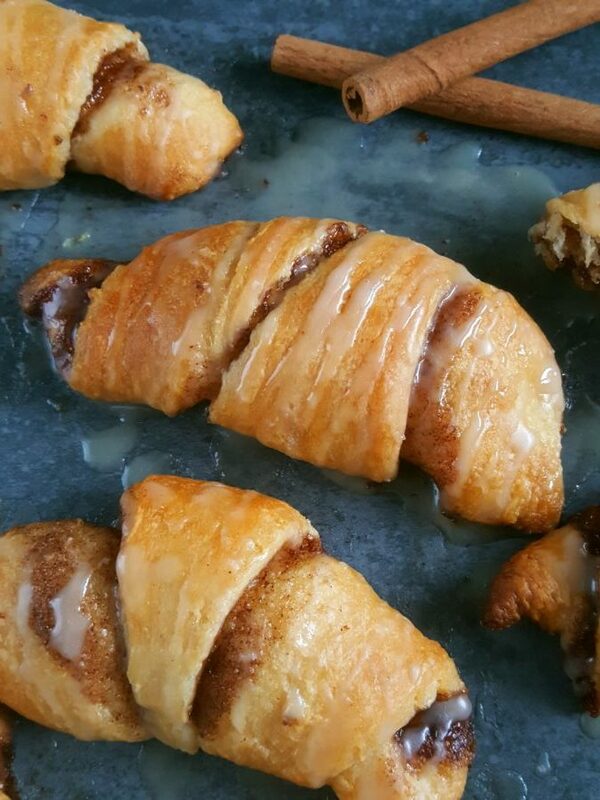 So in this post I’m going to show you a really easy and delicious way to use Pillsbury crescent rolls. 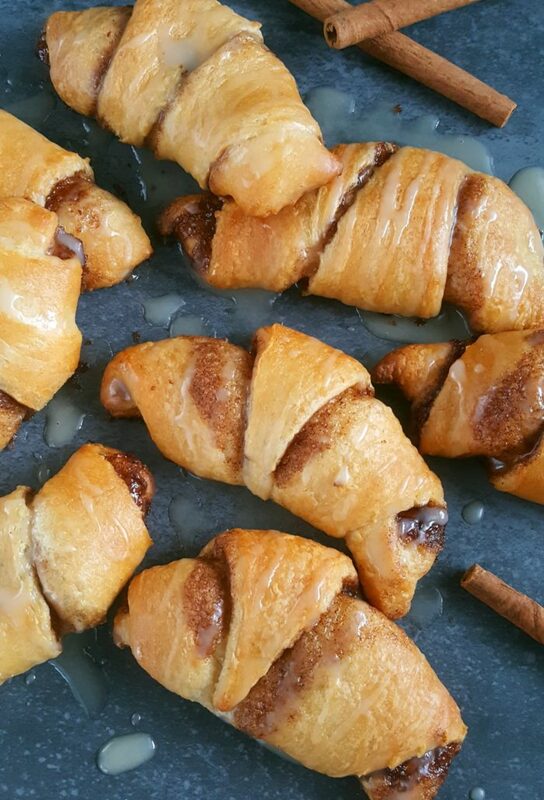 And if you’ve never tried crescent rolls with cinnamon before you are in for a treat! For this recipe you’ve got a filling that consists of butter, brown sugar and cinnamon that is smeared on the inside of the crescent rolls. The filling won’t seem like a lot but trust me, it’s enough! Any more and it just leaks right out the rolls. Then, you roll them up and bake them, and then you drizzle them with a simple sweet glaze. 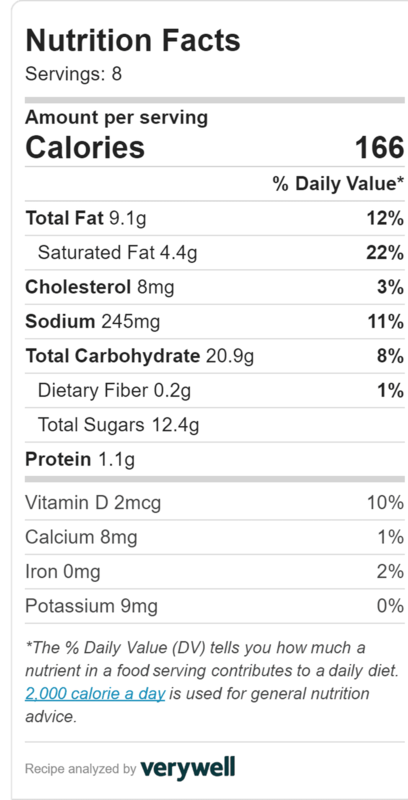 It tastes just as good as it sounds. You’re probably wondering; why not just make cinnamon rolls? I would love to make cinnamon rolls instead but that is a lot of work and it’s time consuming too. 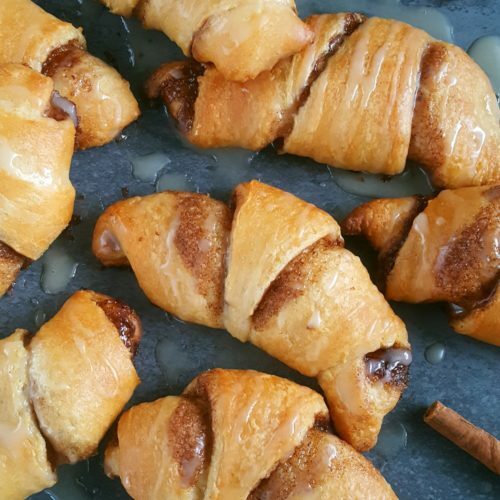 These crescent rolls are a great alternative because they have the flavor of cinnamon rolls, but they’re much cheaper, require no yeast, and they’re way easier to make. If you already know how to make Pillsbury crescent rolls this recipe is going to be stupid easy for you because it’s basically the same concept with just a few added ingredients. If you haven’t made them before, don’t worry. This recipe is basically foolproof. Don’t you just love these kinds of easy baking recipes? Preheat oven to 350°F. Line a baking sheet with parchment paper or foil. Unwrap and separate the crescent roll dough. Spread the filling onto the pieces of dough then roll them up. While the rolls are baking make the glaze. When the rolls are done baking, let them cool on the baking sheet for 5 minutes then immediately drizzle with glaze and serve! Peel away the outer layer of paper and press a butter knife or spoon against the seam. Starting with the wide end, roll the dough to form a crescent shape. I find that these rolls taste great warm so the minute you can sink your teeth into them, do not hesitate! They’re good cooled all the way down to room temperature too but warmer is better. Keep the dough in the fridge while you make the filling because the dough is easier to work with when it’s cold and stiff. I used Pillsbury crescent roll dough but you can also use great value or whatever brand you can find just as long as it’s an 8 oz tube. This recipe only uses one can of crescent rolls. How many crescent rolls are there in a tube? There are 8 so feel free to double the recipe. If you want your crescent rolls to look exactly like cinnamon rolls all you have to do is leave the dough whole, pinch the seams, then spread the filling on top of the dough. Then you roll it up just like you would when making cinnamon rolls and then you cut it into slices. 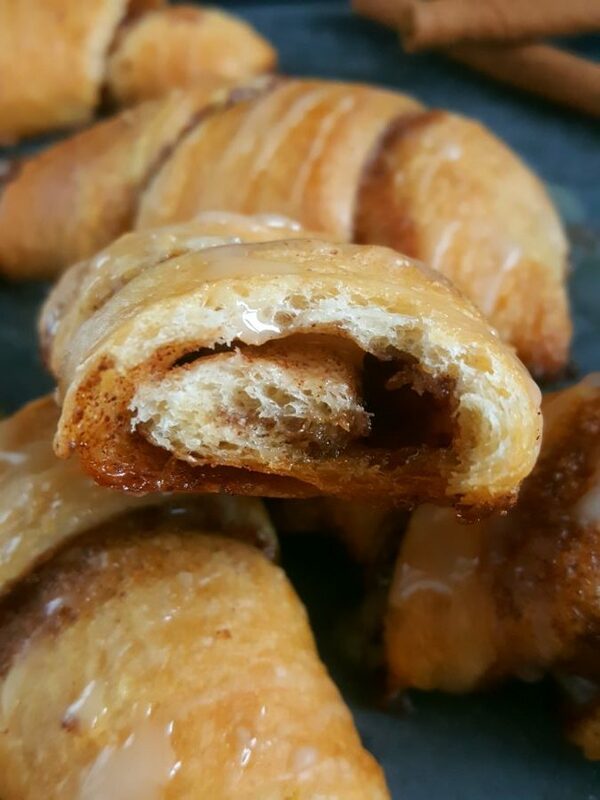 Look at that, you can easily turn crescent rolls into cinnamon rolls. And you can have them for breakfast or dessert! I love making these on the weekends because I get tired of having cereal and oatmeal during the weekdays. This is something i actually get excited for at breakfast time. They’re definitely worth the 20-minute wait. I always double the recipe because 8 crescents is just not enough. These delicious little rolls need to be multiplied in my household. This has to be one of the most delicious homemade recipes I’ve made that isn’t from scratch. I cannot even begin to tell you how amazing these smell. It was so hard taking these pictures because all I wanted to do was eat them. I kept sneaking little nibbles and basically rewarding myself after I got the first good shot. I love cinnamon. I absolutely love it. So when I was done taking these pictures you already know it went down! They did not even last 5 minutes. All I saw was hands snatching them up from every direction, little fingers being dipped in the icing that fell off the rolls, and the satisfying “mmm”. If you’re new to the world of baking, this is a great recipe to try because it’s a perfect baking recipe for beginners. Baking recipes with few ingredients that actually taste good are hard to come by so I always them when I find or create them. for more easy baking recipes! Preheat oven to 350°F. Line a baking sheet with parchment paper or foil and set aside. In a small bowl, mix together the butter, brown sugar and cinnamon until smooth. Unwrap, unroll, and separate the crescent roll dough and place on the baking sheet. Spread the filling on the tops of the dough, distributing it evenly among them. Starting with the wide ends, roll up the pieces of dough and space them evenly apart. Bake for 12 minutes until lightly golden brown. Cool on the baking sheet for 5 minutes. In a small bowl, combine powdered sugar, cream/milk, and vanilla extract. Drizzle over the warm crescent rolls. Serve immediately.